Great job on guessing the trivia from last week, guys. Go Robyn and Rachel - those windows are indeed in Tomorrowland, over the restrooms between Auntie Gravity's and Cosmic Ray's! Now ready for a new trivia photo? I'm sure you can all tell what this photo is of...but can you tell me where it was taken from?? I've never ridden it so I'm not sure, but I'm going to guess that this is from Astro Orbiter because it's much higher up than the TTA! 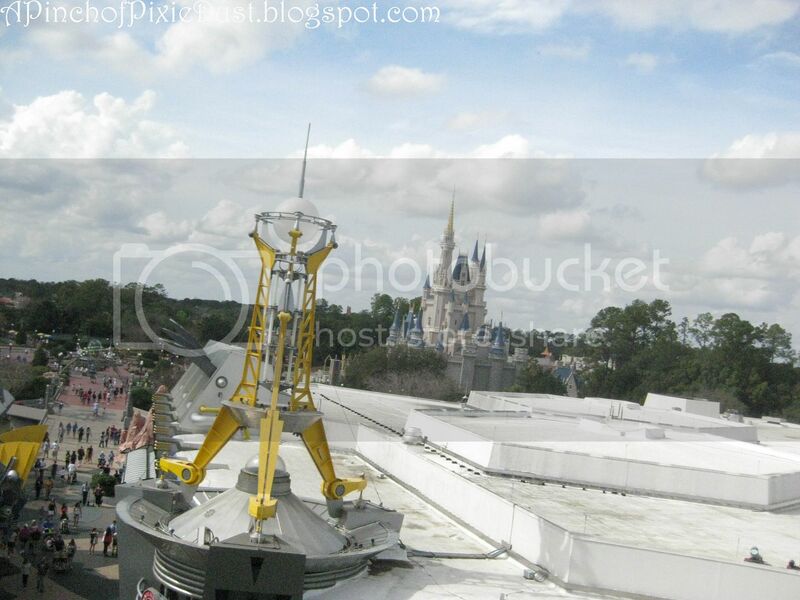 Up where the Astro Orbitor is? While riding Astro Orbiter or the People Mover!